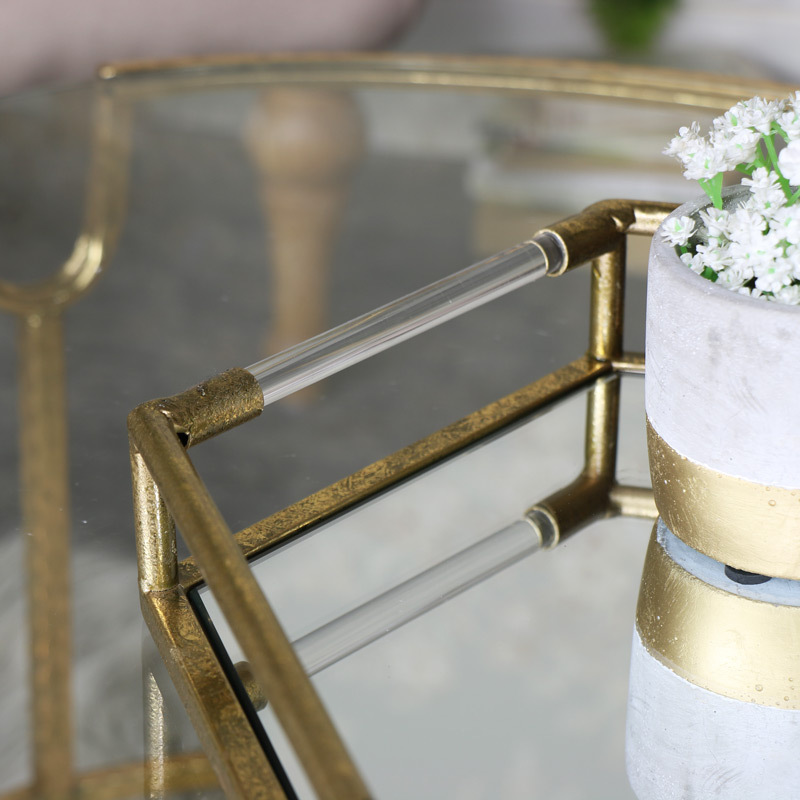 This glamorous cocktail tray is a fantastic addition to your home decor. 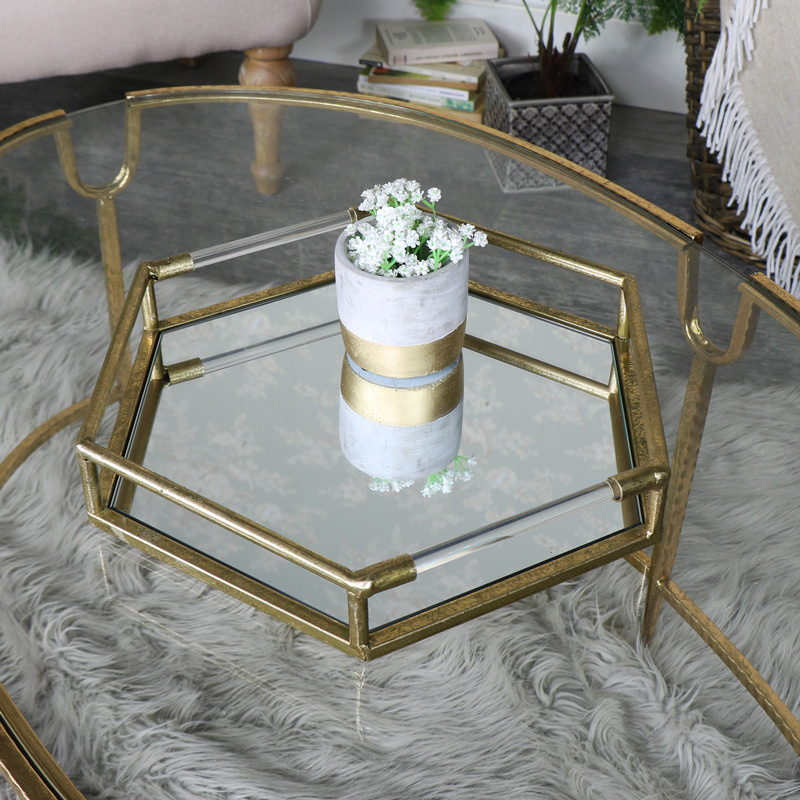 Antique gold finish in a hexagonal shape with a feel of the art deco style. Perfect for use in the home or a vintage wedding. A great little cocktail tray that lets you serve guests in extravagent style. 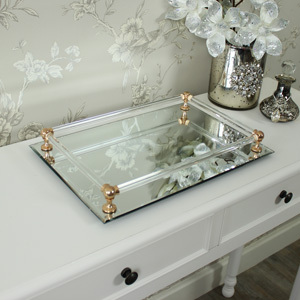 Use a display tray with the mirrored surface reflecting candlelit, ornaments or pretty flora arrangements beautifully. This tray would also be perfect for using in a retail environment as a way to showcase goods. 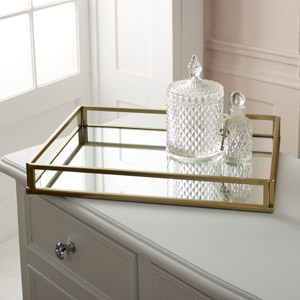 This glamorous cocktail tray is a fantastic addition to your home decor. 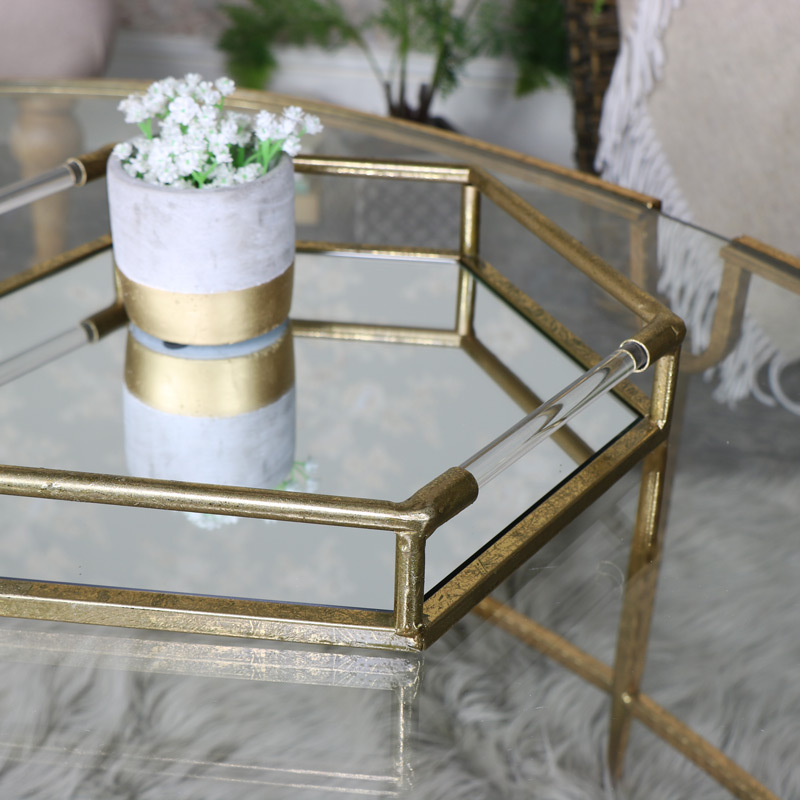 Antique gold finish in a hexagonal shape with a feel of the art deco style. Perfect for use in the home or a vintage wedding. A great little cocktail tray that lets you serve guests in extravagent style. Use a display tray with the mirrored surface reflecting candlelit, ornaments or pretty flora arrangements beautifully. This tray would also be perfect for using in a retail environment as a way to showcase goods. 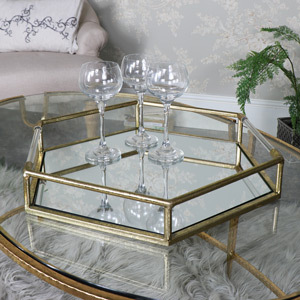 Made from metal in an antique gold finish, bars surround the edges with 2 in a glass effect to create a elegant look.